This statistic shows the direct contribution of travel and tourism to GDP in the United States from 2013 to 2017, by type of travel spending. 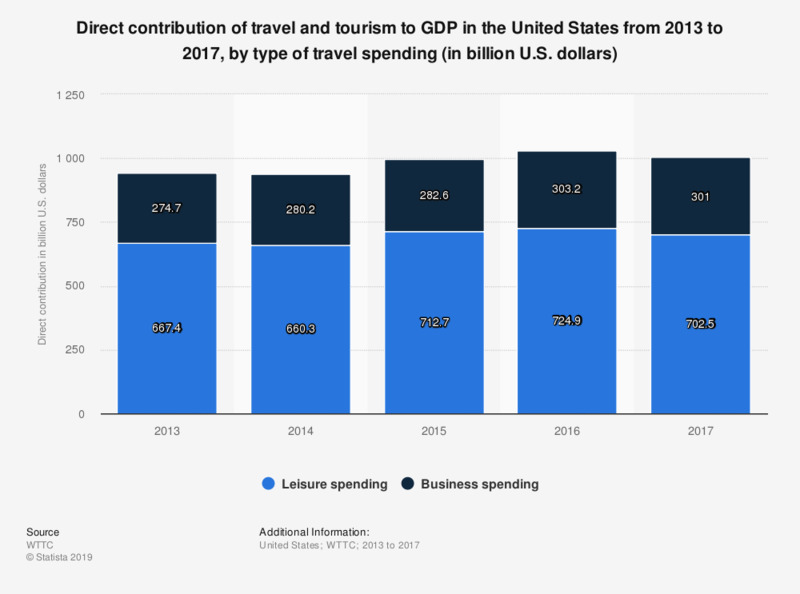 Leisure travel spending contributed 702.5 billion U.S. dollars of the direct travel and tourism GDP in the United States in 2017. Data for 2013 to 2015 come from earlier reports.